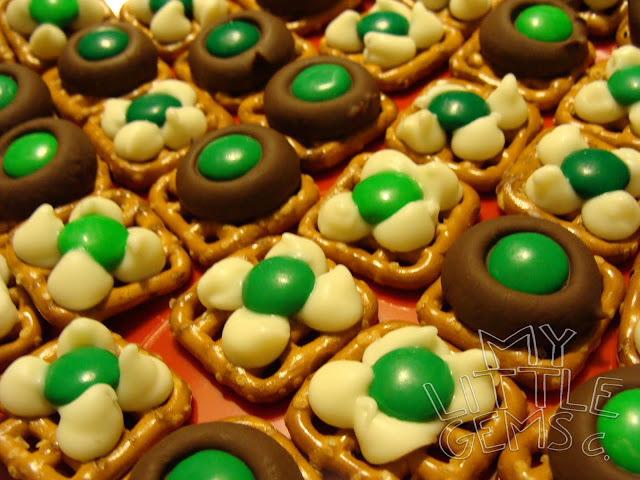 All you need is pretzels, Hershey's kisses, chocolate chips- I used white ones, and green M&M's. Lay out your pretzels on the cookie sheet. 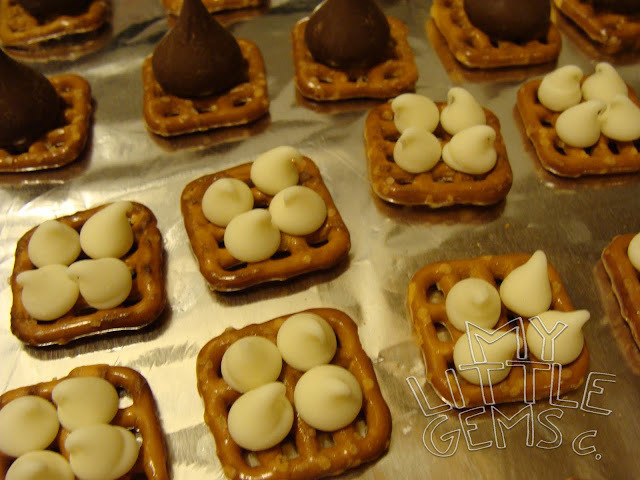 Place one Hershey's kiss or 4 chocolate chips on each pretzel. When the chocolate is soft- after about 5 minutes, take out of oven and place a green M&M in the middle. If you use the chocolate chips, you can use a toothpick to swirl it a little so it looks like a clover. I like the way the chips look like a clover shape- perfect for St. Patrick's Day. 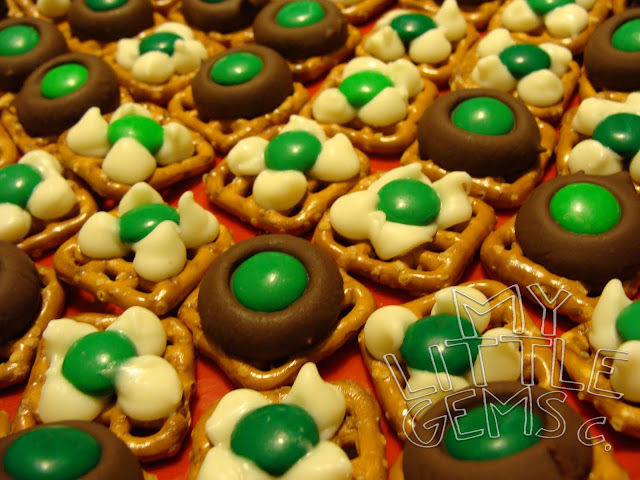 Of course can make chocolate pretzels for any holiday. So Yummy! I'm not feeling well so I am going to bed. BUT I finished the play kitchen from a nightstand! When I feel better, I'll show you! Love this cute idea. I linked this on my blog http://ificould-ificould.blogspot.com/2010/03/chocolate-pretzels.html. Thanks for sharing! I have never had these with WHITE chocolate! Oh, man. I'm gonna have to make some now. Those look sOOO good! Hope the luck of the Irish turns your day around and you are soon feeling better. I can hardly wait to see your finished kitchen. I am in need of some boy inspiration on the kitchen front! Yum! I wanna make some of these! 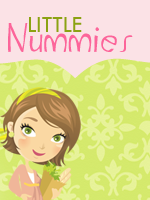 I made these once with rolos and pecans instead of kisses and m&ms, they come out tasting like turtle candies, very yummy! I love your green ones, though, especially with the white chocolate. They are perfect for St. Paddy's Day! I am all about anything that has to do with Chocolate, more chocolate and Ireland. So, you had me with the first picture. I am so stealing this idea! But to be honest...I will call them Sharla's Little Irish Gems. I have never seen these made this way! I have always used rolos or something with caramel inside! I absolutely love how the little chips look like a flower! Great Idea!